Dell has updated its printer portfolio to include a new single function color laser and three refreshed printers along with the 11 x 17″ wide format laser printer, a first for Dell. Dell has updated its printer portfolio to include a new large format printer, a single function color laser and three refreshed printers. The 7330dn A3 laser printer is an exciting new option for Dell; it is a first in its class. The 11 x 17” printer features up to 50 pages per minute, a monthly duty cycle of 300,000 pages, built-in duplexing, 1200 x 1200 dpi print resolution and first page out in as little as seven seconds. 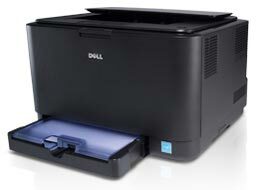 The other new printer from Dell is the 1230c single function color laser printer. 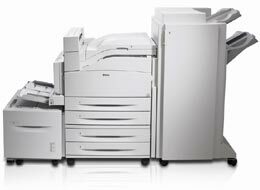 The 1230c offers 17 pages per minute, 2400 x 600 dpi print resolution and a high-duty cycle of 20,000 pages per month. Dell is also re-releasing three new printers: the 1320c color laser, 2330d and 2330dn monochrome laser printers. The 1320c will be adding networking for the same initial cost of $299. This entry was posted on Wednesday, November 19th, 2008 at 1:27 pm	and is filed under Dell, laser, printer. "Brother HL-6050D Laser Printer Review"
"Lexmark Expands Color Laser Line"